The past few years certainly haven’t been very good for Facebook. After going public in 2012, Facebook acquired several organizations and applications to make waves in the market. The company is now responsible for a considerable amount of data, which has led to several data breaches, exacerbating the media and creating skepticism toward the social media giant. Even though Mark Zuckerberg, the CEO of Facebook, made promises to fix the platform, data leaks and other issues continued to pop up. Wired published a thorough investigation of the company through 2016 and 2017, but it was just the beginning. Data controversies are nothing new for Facebook, and last year was certainly no better than the prior. Myanmar, a country in southeast Asia on the Indian Ocean, has suffered from political violence caused by several factions within the country--in other words, a civil war that has led to systemic murders. Facebook was accused by the United Nations of spreading hate speech throughout the country. Believe it or not, in some countries, Facebook is largely seen as the Internet by a significant portion of the population. These investigations by the UN found that Facebook was indeed making the issue of hateful rhetoric even worse, dividing the country and flaming ethnic tensions. Germany has been struggling with a far-right anti-refugee issue for most of the decade. In 2018, Facebook was found as another link between violent attacks against Muslim refugees. Reputable sources also found that Facebook could have been a major factor in the political violence in both Libya and the Philippines in 2017-18. Basically, Facebook isn’t building the dangerous content, but it’s being used as a platform for these groups to spread their propaganda and controversial statements. On March 17, 2018, The Observer reported that Cambridge Analytica had worked with the current President of the United States, Donald Trump’s election team, as well as with the Brexit campaign to harvest information from millions of Facebook profiles for U.S. voters. This was the largest data breach in the history of Facebook to date. The information was taken by users without their permission in early 2014, and it was used to build a system that profiled U.S. voters and target them with personalized advertisements. Some believe that it influenced the outcome of the 2016 Presidential election. Even worse, the breach was discovered in 2015, and Facebook didn’t report it immediately; they also only took limited action to recover the stolen data of nearly 90 million individuals. According to Facebook CTO Mike Schroepfer, nearly every single user on Facebook had their data accessed. On December 19th, 2018, the United States Government announced that legal action would be taken against Facebook for the role played in the Cambridge Analytica scandal, resulting in a stock drop of about seven percent. Facebook was also accused of collecting SMS and call data from Android users without informing them. Facebook responded to these allegations by claiming that users consented to the data being collected by the company, which made the problem even worse. As of May 25, 2018, the European Union’s General Data Protection Regulation, or GDPR, has taken effect. Almost immediately, privacy advocates took jabs at Facebook and the software it has acquired, Instagram and WhatsApp. The company issued a statement that it took over a year and a half to become compliant with GDPR, but with its track record, some folks aren’t so sure about their practices still. The New York Times has exposed that Facebook worked with smartphone manufacturers to provide access to user data. Some of these companies include Apple, Amazon, Samsung, and Microsoft. 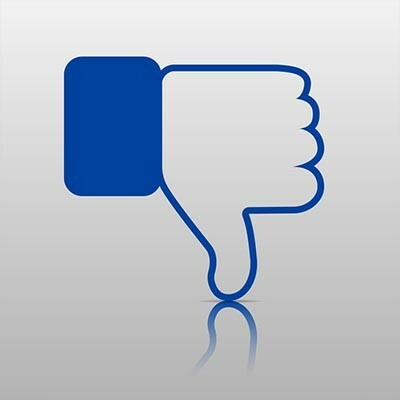 Some users have even found that Facebook’s app can’t be removed from new Samsung devices. Facebook is one of the biggest websites out there, so it’s natural that there will be attempts to steal some of its data. While it’s supposed to be Facebook’s duty to protect this data, there were at least three instances in 2018 where Facebook suffered from major data breaches. The New York Times also found that Facebook gave preferential treatment to certain companies and provided them with more data than it has publicly admitted to. Let’s face it, international companies don’t take criticism well, especially when stocks are involved. They go into damage control and will often resort to underhanded tactics. A smear campaign led by Facebook COO Sheryl Sandberg was designed to deflect the criticism from the company. Even though Facebook took a couple hits over the past few years, it’s still a popular service for lots of users on both a personal and professional level. It’s up to users to hold these powerful companies accountable for the data breaches and breaches of trust they suffer from. What are your thoughts on this? Let us know in the comments. Monday, April 15 2019 Which Option is Best for Your Conferencing Needs? The average business has a lot that management needs to keep an eye on. Closely monitoring some aspects of yours can help you to secure it, while promoting your productivity. Let’s review a few of these aspects to help you direct your attention to the important facets of your operations. Learn more about Strata Information Technology and what we can do for your business. Copyright Strata Information Technology. All Rights Reserved.